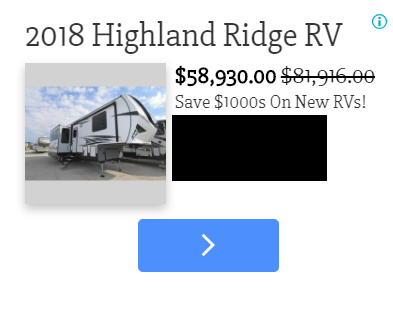 Last week we analyzed dynamic search ads to help get your 2019 budget planning off on the right foot. 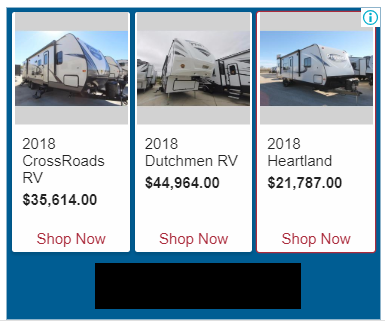 Today we’ll look at the other side of the coin and dive into dynamic display ads, which play a different but important role in RV shoppers’ buying journeys. What are dynamic display ads? Are they worth my money? Yes according to our internal testing. And it makes sense; they’re the most personalized type of display ad you can show a shopper. As always though, your results may vary. It’s prudent to run a thorough test and also consider opportunity cost and the role these ads would play in your bigger picture. Are you managing your ads internally or with another agency? If so, then do your homework to ensure your budget is being spent most effectively. We’re happy to help analyze. Further reading here from Google.